China is the most visited country in the world. It's the world's most populous country, with a population of over 1.35 billion. In 2010, 55 million overseas tourists visited China and the foreign exchange income was 45.8 billion U.S. dollars, the world's fourth largest. The World Trade Organization predicts that China will become the largest tourist country and among the largest for overseas travel. After Russia, China is the second largest country by land-area in Asia. China has a wide range of tour destinations which offers something for every kind of traveler. Beijing, Shanghai, Xian, and Hong Kong are probably the most visited cities in China. 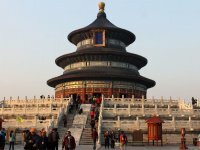 A few attractions include water towns, imposing imperial palaces, the temple of heaven, the three river gorges, forbidden cities, Dazu rock carvings, the Harbin ice festival, the Yangtze river, the splendid national cultural heritage centers with their alluring colorful folk customs and many more. Of course the Great Wall of China in Beijing and the Terra Cotta Warriors museum in Xian are probably the most desired sites to visit for travelers and Shanghai being the largest and busiest city in China and the largest port city in the world attracts business and tourism alike. 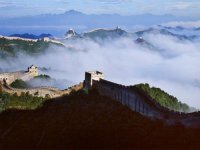 China is a vast land with a wide range of attractions and scope of activities. It could take you several years to visit the many cities and sights in China and still not see them all.